Life is larger than all Arts, Sciences, Religions, Philosophies, trade, techs, States... through times and places. Comment on a Comment by Harini on “Illiterate farmer women of Andhra”. Any project has three elements: Context, Process and Content. 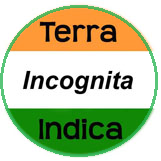 We, in Terra Incognita Indica, are right now critically concerned about Context and Content, which are elements of any project than its Process. Our “NEEDS” are more important at this critical time in history than the “WANTS” of the few who constantly continue to upgrade process – technology – that has no effect on context to living sanely and livelihood of the billions. Once upon a time there were two cities on the two banks of a river. Both city governments decided they should build a bridge for the convenience of the citizens. They built the bridge. Everyone involved – cooperators, engineers, bureaucrats, contractors and the citizens – were happy. They had received their rewards. But in a course of time the bridge developed serious defects. They tried to repair it, but no use. Hence they decided there was something wrong with the process – technology, and therefore proposed to build a new bridge. What could be the fate of the new bridge? They were checking the process instead of the context and the content. Everyone of the participants understood the moral of the story. If it is still not clear: Consider what was the context and content of the invasion on Iraq by the Us and its buddies? © Remigius de Souza., all rights reserved. Environment – Ecology – Energy, the EEE trinity in SRISHTI - Nature - as if Land, Waters and the Living beings matter, is the Challenge of the Twenty-first Century. In this context we re-search or rediscover India. Clay Grain Silos of Saurashtra, Gujarat - Clay Grain Silos of Saurashtra, Gujarat ------------- ~~~~~ © Remigius de Souza., All rights reserves.